Traffic and pedestrian laws prevent many—yet not all—accidents from occurring. If you ever fall victim to a driver’s negligence, you may face extensive physical injury or financial repercussions. Should you find yourself in this situation, seek legal compensation at Otorowski Morrow and Golden, PLLC. Serving all of Seattle, WA and Bainbridge Island, WA, our offices welcome those who have experienced personal injury while riding bicycles. When you speak to a bicycle accident attorney at our firm, you can expect a caring legal expert to listen to every concern while offering realistic ways to navigate your case. Though you may be met with steep medical costs after a bike accident, one of our lawyers can set you on the path to financial restitution. We’ll help determine whether or not your injuries were caused by another’s careless behavior. 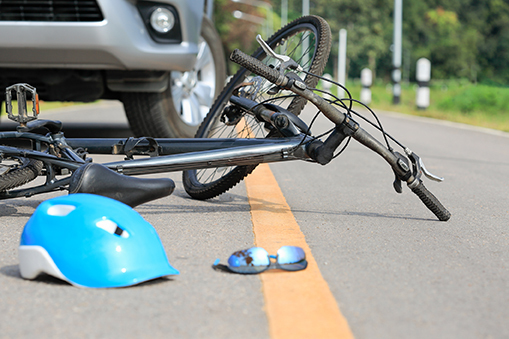 If so, our cycling accident lawyer will suggest gathering all possible evidence that can prove the driver’s negligence. We’ll conduct all of this business in a warm, comfortable, and friendly environment. You’re entitled to excellent legal counsel, regardless of the scope of your injuries. Otorowski Morrow and Golden, PLLC has over 120 years of combined experience in personal injury law. We handle a variety of cases, ranging from medical malpractice to dog bites. The landscape of these types of cases requires both tenacity and intellect. Count on us to deliver in both of these regards. So don’t wait. Your injuries call for our prompt and adept aid. Call 206.842.1000 to set up a free initial consultation.